Even though cars can be messy and loud when you drive them, it’s neat to remember that assembling their hearts was a very methodical and careful process. Even the certifiably berserk Dodge Demon is no exception. 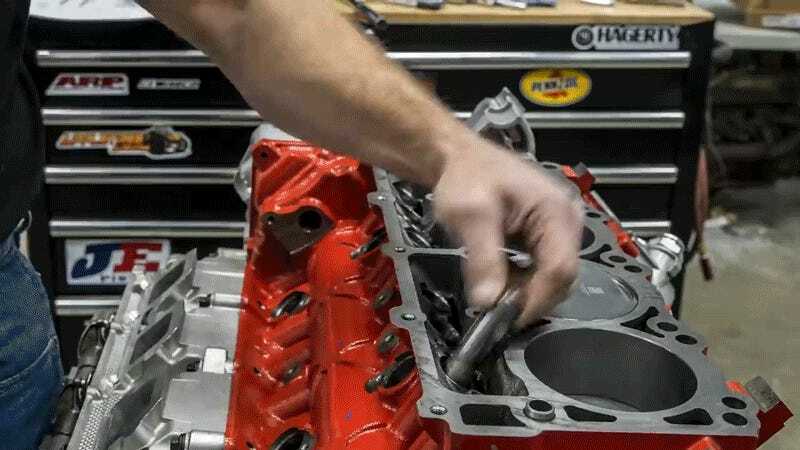 Hagerty recently performed a full engine rebuild on the supercharged Hemi V8 from a Dodge Demon. Even though the thing spits out 840 horsepower, putting its engine back together again seems like a very calming process. There’s nothing quite like seeing how an engine works than putting it together yourself. Of course, after the rebuild is complete, you can then take your Demon outside and rip mile-long burnouts, win a drag races and cause general mayhem. You can make enough noise to wake up God. But this engine, like all engines, once started out as just a bunch of metal parts. It’s cool to think about.